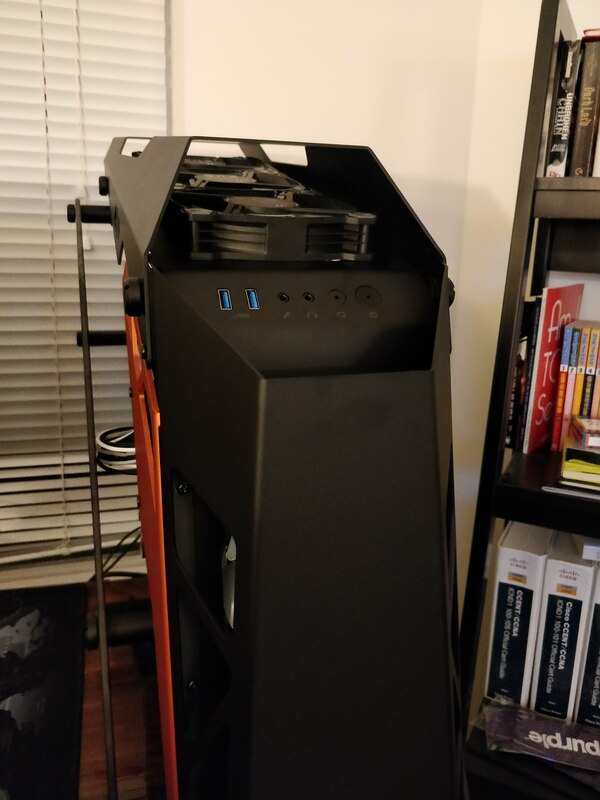 Created a build in a weird quirky case . 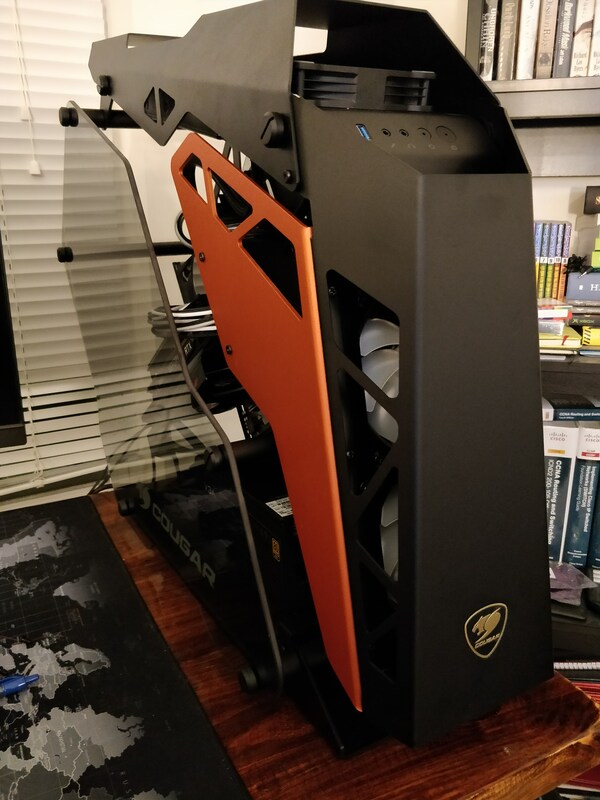 The case came in pieces and had to be put together, it like a big lego set. Building inside it was fairly standard once you get started. The majority of time spent on cable management on the back. 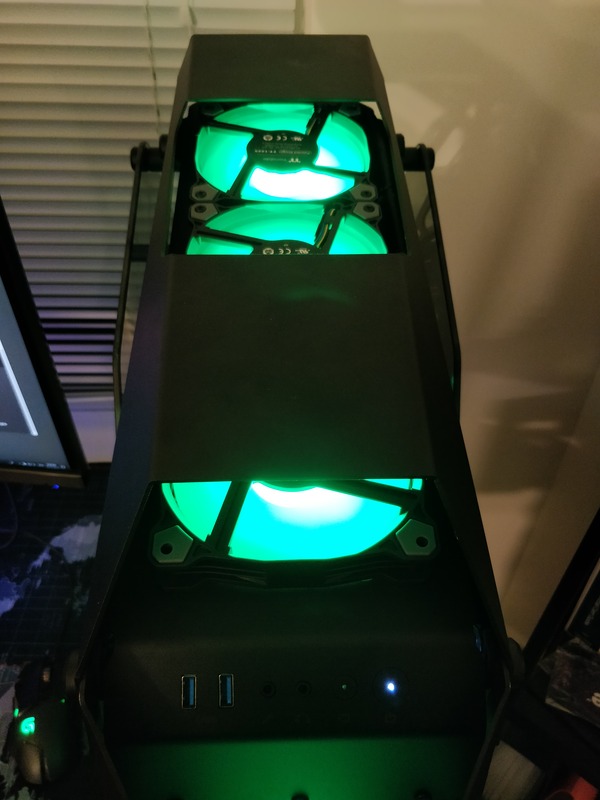 I wanted to get all 3 fans in the top but unable to do so inside the case so the fans had to sit on top of the case instead. 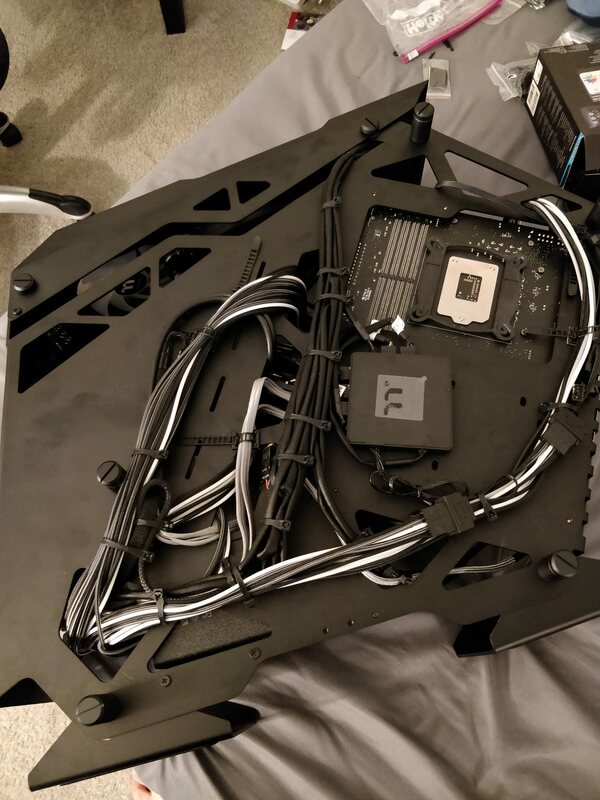 The Thermaltake fan is no joke, the cable for them must be at least 3 feet long...it took up most of the cables in the back. 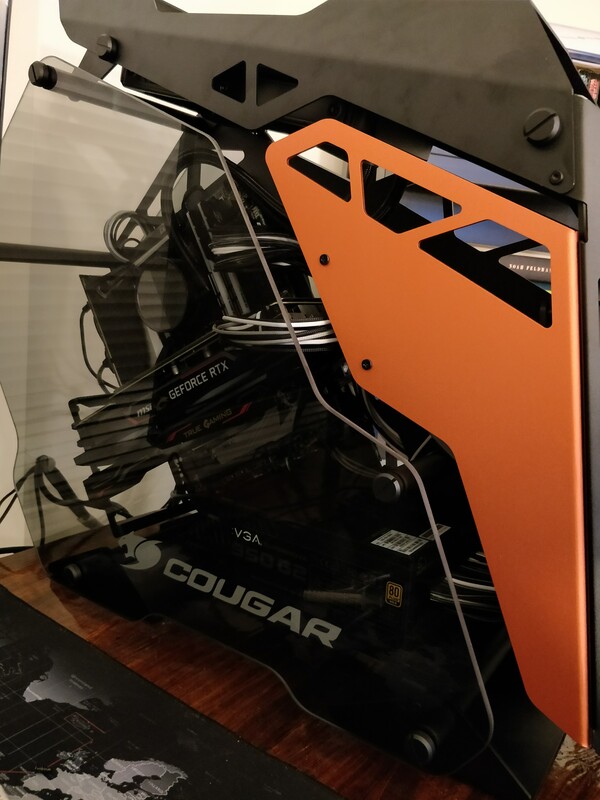 I do plan to paint the orange accent panel sometime in the future. I got around to painting the orange accent plate. 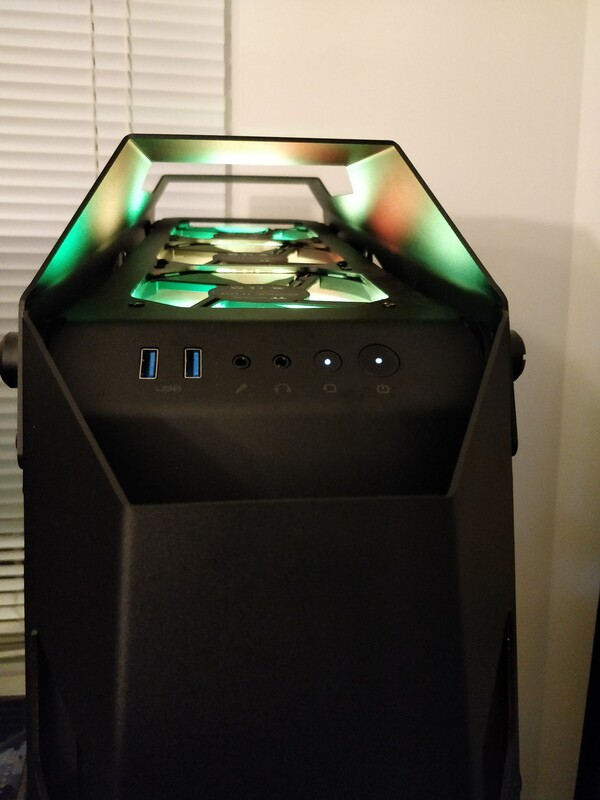 I do like that case, it’s weirdly different from everything else and takes a lot of skill to create a clean build in. Well done. 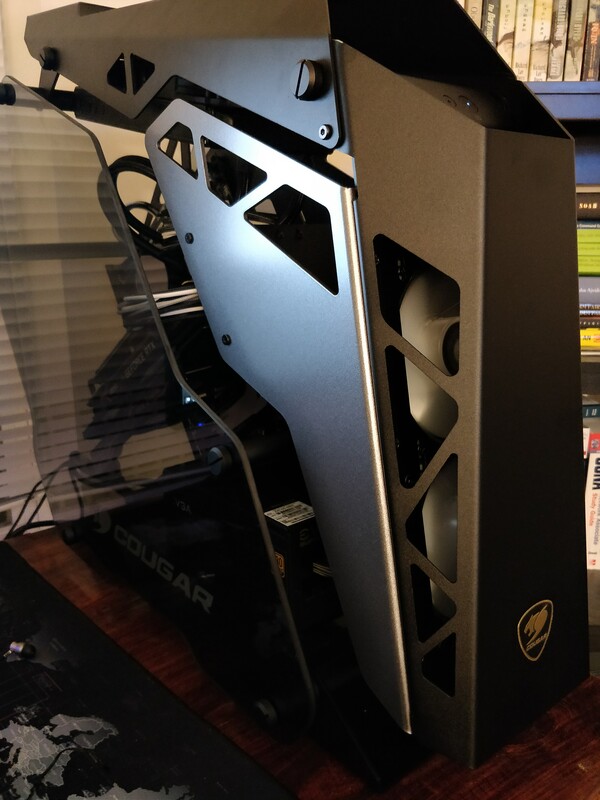 It looks neat, but this case is one of those that are only for water cooling loops. It just doesn't look right. Watercooling in this case will take up so much extra space it would look "crammed". I think a nice evenly laid out air cooled system will excel. I do have watercooling in the system, don't you see the NZXT Aio? :P all kidding aside I wasn't keen on doing another custom loop, too much hassle and I switch out new computer parts often. 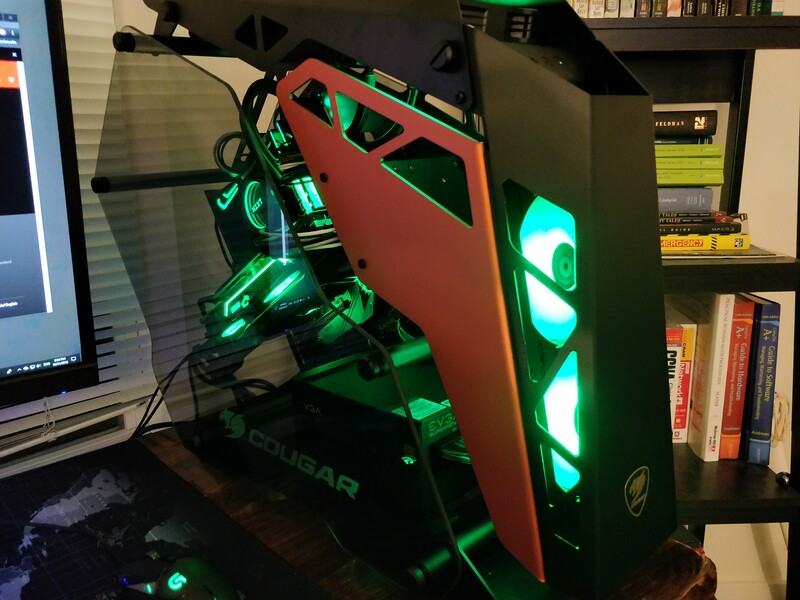 I like the case, but I am not keen on how you can see all the wiring in the right side. That put me off, I almost bought one. 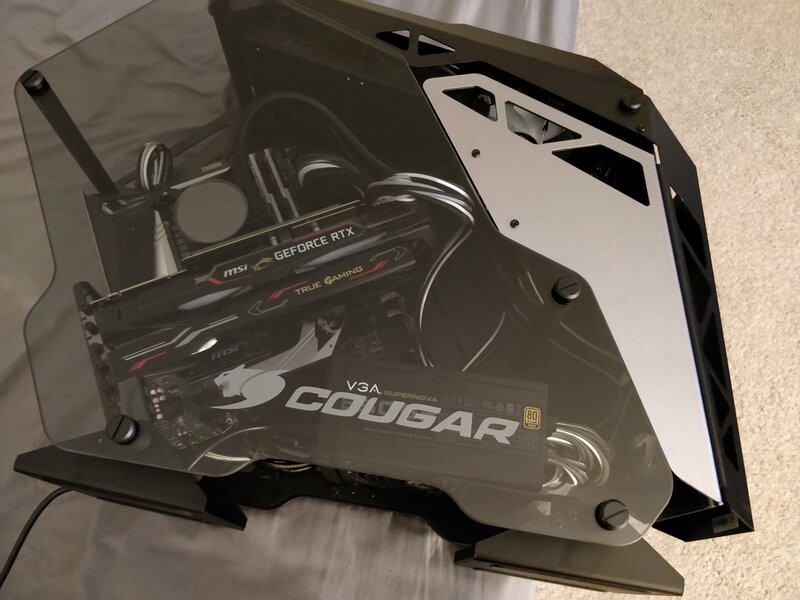 Don't see anything wrong with AIO, but I would put one on the GPU too. That is why it is ill advised to argue about taste. 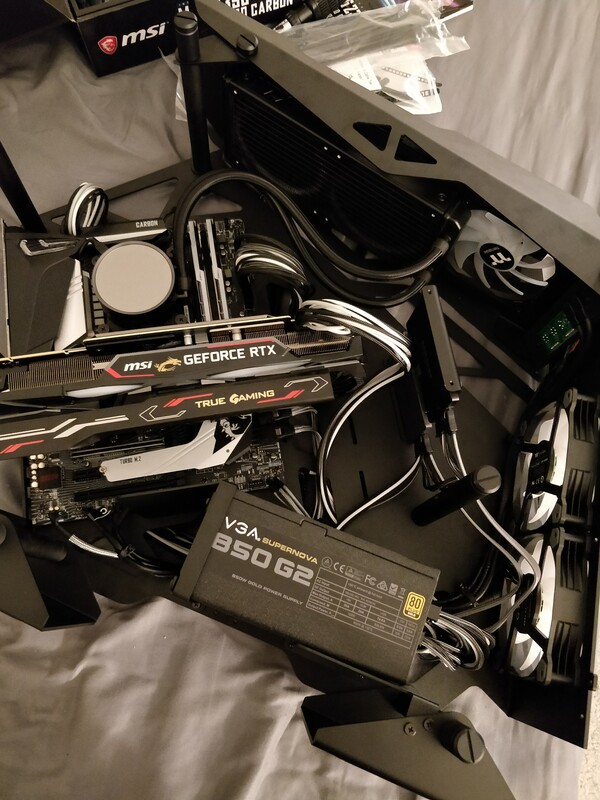 I think of PSU and cables as part of the rig. And i hate PSU covers. It takes a lot of time, and cables need to be made to a proper length. They don't need to be put in channels like in pro builds. 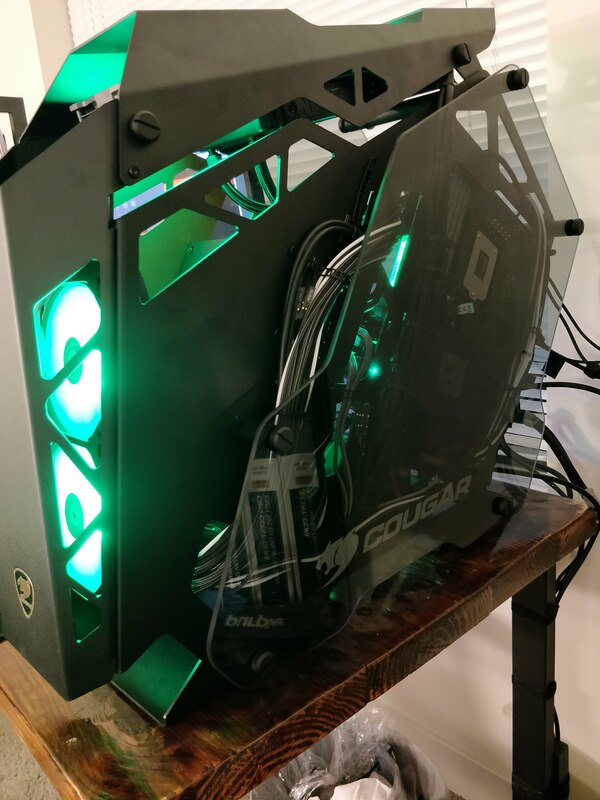 But when you have 2 glass panels, cables done right, and shine light on them it just gives a build some pazazz. It is so much more pleasing to the eye.